I recently made my first visit to the region's newest winery, Black Willow Winery, in Burt. The tasting room for is housed in a newly renovated barn that sits right on Lake Road (Rt. 18) less than a mile from the southern shore of Lake Ontario. There isn't an adjacent vineyard yet, but with all the orchards surrounding the property, it has the quaint rural feel that you associate with wine country. Once inside, I was immediately impressed with the crisp and delicate nature of the whites. With grapes sourced from Cayuga Lake, the chardonnay was lightly oaked, with clean citrus and pear aromas. There were subtle toasty notes, but overall, this lived up to it’s billing as a “lightly oaked” wine. The Trilogy White picked up right where the Chardonnay left off, with clean flavors of tropical fruit and spice. It's a blend of gewurtztraminer, cayuga and riesling and was soft, subdued and balanced. It too was sourced from Cayuga Lake. The first red I tried was cabernet franc, and though I was ultimately disappointed from an exaggerated push of fruit (likely from some oxidation), the un-oaked black cherry notes will most likely still appeal to many customers who don’t fuss over volatility. The Trilogy Red had a hint of oxidation, thanks in part to the blend consisting of likely the same cabernet franc with Chancellor and cabernet sauvignon,Yet its aroma of bright cherry fruit was reminiscent of Swedish Fish candy. Just as expected, there were a few native wines on the list and the first was actually pretty restrained. Bare Cat Blush, named after the owner’s love of hairless cats, is a Catawba-based blush that doesn’t venture into “sweet for sweet’s sake” territory. Its aroma is a dead ringer for Pez, and it has just enough grapey flavor to appeal to the native grape lovers. Black Widow Berry is a blend of concord and blackberry extract. Interestingly enough the tasting room staff encourages you to eat a Junior Mint before tasting it, which goes against any instinct I have but actually works with this 7% RS wine. But what probably got me most excited was getting to taste the winery’s soon-to-be released meads while owner and winemaker Cynthia Chamberlain showed me the production area. Black Willow’s meads, otherwise known as honey wines, are sourced from local honey and fermented dry. These wines were unlike any I’ve tasted in Niagara. The Odin Nectar was diluted to 24 brix and fermented dry with aromas that I would normally associate with beer: citrus, pulp and banana. It also reminded me of skin-fermented white-grape wines on the palate. Chamberlain revealed that this one will be sweetened slightly by adding honey back to the wine before bottling. Finally, the wine that rocked my palate was an experimental product called Nordic Fire. This mead was made from pepper-infused honey, giving it a pleasant citrus and white pepper nose and red-hot fireball pepper packed flavor on the palate. Chamberlain said that the actual wine should not have as much alcohol as it really brings out the heat but I actually really liked it. Even though the winery isn’t offering any locally grown wines yet, Chamberlain made clear her intentions of planting vines. No matter what they decide to put in the ground it’s exciting to see a new winery with intentions of making all their wines in house with their own hands, even being as bold to be the first ones to make and sell mead on the trail. As far as location goes, they couldn’t be in a better area. The lakeshore between Wilson and Olcott, NY is beautiful and it’s great to see Black Willow bringing more people out to this area. Are New York Wineries Leaving Money on the Table? Our post last week introducing our "Brian Sedgwick" email project certainly generated a reaction -- good and bad -- from inside and outside the New York wine community. We knew it would get peoples' attention and we knew we'd likely ruffle some feathers. That wasn't the goal, but it was inevitable, really. Before I get into some of the details and the findings, I'd like to set the record straight. We didn't do this to "get" anyone. When I conceived of this idea, I realized it would simply include a single email sent to wineries in the "off season." Some New York's wineries are closed this time of year and some of those that remain open are understaffed. This was never meant to be an comprehensive, definitive study. It's a mere snapshot to get a general sense for how well New York wineries are paying attention to their general email addresses. In challenging times, businesses of every type need to take advantage of every opportunity before them. And based on what we found, I think one can assume New York wineries are leaving money on the table. Good afternoon. I'm going to be visiting <REGION> wine country with some friends this weekend (Saturday and Sunday) and I'm trying to decide where I should taste and eat. Could you provide some information? - What time do you open and close on weekends? - How much is your tasting fee and how many wines do we get to taste? - What other wineries around yours would you recommend? - Do you have recommended restaurants nearby? This is our first trip to the <REGION> wineries so I'd appreciate any insight you can offer. Of those 192 emails sent, only 112 replies came in (58%), which means that 42% of the emails were not responded to. That's 81 wineries that did not respond. Looking at how quickly the email was responded to, 39% of the emails were replied to the same day we sent them out, 25% the next day and 8% were responded to on the third day or beyond. I think the numbers speak for themselves. Needless to say, I find these numbers disturbing. If I owned a winery, I'd want every single email like this to be responded to in a timely, well-considered fashion. People have mentioned publicly on Twitter and also in private emails that the email we sent out didn't seem "real" -- as though it were spam or something similar. I disagree completely. People have also pointed out -- correctly -- that winery staff sizes vary greatly, implying that larger wineries are more likely to respond than those with only a handful of employees. That is also not true. Some of the state's smallest wineries replied while some of the biggest ones did not. The biggest mistake I made when planning and executing this project was incorrectly thinking that four questions could be used for every winery. Some of the questions simply didn't apply to some wineries -- some are closed, some don't charge for tastings, some are flexible with how many wines you can taste, some sell wine from a variety of wineries etc. Next time, we'll keep the different business models in mind. So, I'm not going to share the data related to whether each question was answered, but I can say without a doubt that the quality of the responses we received varied greatly. Two fantastic restaurants nearby are located in the village of Aurora. The Aurora Inn is one of the finest restaurants in the region with a wonderful wine list. The Fargo, located across the street from the Aurora Inn, offers "upscale" pub food and a great beer selection. Also, The Finger Lakes Wine Center in Ithaca is a great way to taste a number of great wines from the region without having to travel too far. We look forward to your visit to the region & hope you enjoy your time. We're open 11-6 on Saturday and 11-5 on Sunday. It would be a good weekend to come by as we have our Nautique Jazz & Blues Fest going on. Saturday we're featuring Matt Marshak live from 1-5pm and have a fun little promo going on with our Nautique Sparkling wine (complimentary chocolate lollipop with purchase of a glass, complimentary champagne glasses with purchase of a bottle). This weekend also kicks of LI Winterfest Jazz on the Vine and there will be jazz playing at several different wineries. You can visit www.liwinterfest.com for participating wineries. Not all wineries participate in this actual program (like us) as some choose to do their own thing but many do have something going on. We always recommend (3 WINERIES LISTED), but I would check their websites to see what they're planning. Our tasting fees run anywhere from $5-$12 (3-6 wines per flight) depending on which tasting flight you select. Also I recommend eating at (2 RESTAURANTS LISTED) You can go to our website and under "visit us" there's a tab for "where to eat" and we have an extensive restaurant list. Reservations are highly recommended with the Jazz festivals going on - it's a big weekend out here. I would also recommend (if you have 6 or more people in your party) calling the tasting room and reserving a table 631-734-7361 ext 0. Whatever you decide, enjoy! I don't call these two emails out as the only well-written emails we received, but instead merely as two good examples from two very different businesses. On the other end of the quality spectrum were a surprising number of wineries that simply offered their hours, or their hours and fee structure, showing no apparent interest in recommending other local wineries or restaurants. This is what matters -- what will local wineries do going forward? We sincerely hope that those doing the right things continue to do them and that those who did not reply to our email use this as a springboard to action. I've spoken with several winery owners (on both sides) and I'm more than happy to share detailed information with any others out there that want to know how their wineries performed. We will be doing this again in the future. We've learned quite a bit already about how we can improve our end of things and will likely expand it even more to get a larger sample size -- maybe five emails to each winery. The results still won't be definitive, but the data should be more telling. In the end, we hope this effort is a positive and productive one. We welcome comments from consumers: How do you communicate with wineries? How do you set up visits or trips to the wine regions? And we want to hear from wineries: How is communication changing when it comes to reaching customers? Who is Brian Sedgwick and How Well Do New York Wineries Respond to Email Inquiries? For a significant portion of their potential customer base, a winery's website is the first point of contact and communication. It's the front lines in the battle for mind share and dollars. Most New York wineries have websites nowadays -- even if many are painfully out of date -- but how well do wineries monitor leads and inquiries that come in via their website or email? What time do you open and close on weekends? How much is your tasting fee and how many wines do we get to taste? What other wineries around yours would you recommend? 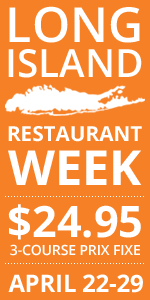 Do you have recommended restaurants nearby? Who is Brian Sedgwick and why was he visiting so many New York wine regions during such a short period of time? Brian Sedgwick isn't real. I made him up and created an email address from which these emails went out... and the results have been nothing short of fascinating -- and in many cases disheartening. We're still crunching the numbers, but before we start publishing the results, I wanted to outline our process. 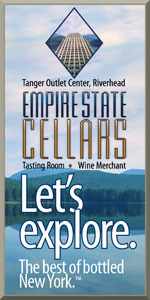 First, we used the winery lists on the New York Wine & Grape Foundation website as our starting point. We focused on wineries -- removing mead and cider producers. We also used the email addresses listed on the NYWGF website unless a different email address was listed on the winery's individual website. In cases where more than one email address was listed on a winery website, we used the most "generic" one. As I said, all emails were sent out on Tuesdays and -- with some help from our technical director, Brian Yanosik -- every winery in a particular region received the email at the same time. We then tracked whether or not we got a response, when we got it and how many of the four questions posed were answered (this proved tricky for seasonal regions where a significant number of wineries close for the winter). One other item of note -- if a winery's website didn't list an email address, but instead had a contact form, we used the email address posted on the NYWGF site. We thought it important that every winery (in a region) get the same message the same way at the same time. And, if I really were visiting a wine region for the first time, I'm much more likely to send out a mass email than I am to fill out a dozen or more online forms. We'll start publishing region-by-region results next week, focusing on some high-level response rates and highlighting some of the best responses. If you're a winery owner/manager/winemaker and you're curious how your winery handled the inquiry (or not), just let us know and we'll share the full details privately. The speaker, Peter Gamble, industry veteran and winemaker at Ravine Vineyard, then posed the idea that if there were a few grapes in the world that could, like a symphony, bring tears to your eyes by themselves, one would be chardonnay. While moved by the existential thinking that goes into this philosophy, I’ve never been moved so much as to shed a tear while drinking chardonnay. I did however find myself on board with Gamble’s next reference, this time to a Burgundian winemaker’s philosophy that she “doesn’t make varietals…pinot noir is a blank slate for Burgundy to tell its story.” This Burgundian notion, which most certainly pertains to chardonnay is why Ontario is boldly organizing itself with the purpose of pouring its chardonnay for markets like London and New York City with the intent to reveal what the region has to say. Driving across the border to Brock University’s Cool Climate Oenology and Viticulture Institute in St. Catherines leaves no doubt to its significance in Niagara wine country. The city is surrounded on all sides by sub-appellations densely planted with vinifera vineyards. To the west are the bench wineries of Vineland, Beamsville and Jordan. To the east is Niagara-on-the-Lake, the Niagara River and St. David’s bench. And last Saturday morning in one room on Brock’s campus the industry’s best winemakers, owners, writers and promoters of Ontario wine came together for their annual blind tasting and themed seminar -- with chardonnay being the star. As talk of chardonnay’s evolution commenced at the podium, volunteers began pouring samples from the day’s first flight, “The Many Faces of Chardonnay.” The first few wines immediately filled the room with bright tropical aromas that I clearly had mistaken for breakfast. That’s when I realized that not only was I about to learn a lot about winemaking and how this industry works, I was about to drink some great wines too. While my eyes and brain made the connection to what I smelled, my focus was redirected back to the keynote speaker’s discussion of how chardonnay went from steely, crisp, austere mineral wines of Chablis to mealy, hazelnut laden, intense extracted wines of the Cote de Beaune. With the help of, largely, California and the New World, chardonnay morphed into the "Chablis" boxed and jug wine generation, where its character and sweetness was more suited to the average American palate. I think the story of chardonnay then evolves into the oak bomb and to the fruit bomb, which went international with the wines of Yellow Tail. The optimistic view that Gamble then revealed, with which I am in complete agreement, is that the pendulum is swinging back to less new oak, lower alcohol, higher acidity and toward the appreciation of terroir and the complexities it can show. While this could be said about many grapes -- including pinot noir, riesling or sauvignon blanc -- Gamble cited Decanter Magazine as concluding that chardonnay styles generally define the strategy of the global industry. Does that mean that chardonnay trends are to the wine industry what straw polls are to elections? I’ll leave that for another story altogether. With the grape’s overall significance in the wine industry on my mind, I began tasting through the first flight, which started with a Blanc de Blanc from Cave Spring and ended with a chardonnay icewine from Inniskillin. With the goal of showing the versatility of the grape in the region, this flight nailed it. From the butterscotch crème brulee maloactic conquest of the Rosehall Run 2008 Rosehall Vineyard Chardonnay to the more restrained yet toasty wild yeast fermented Hidden Bench 2008, to the tropical fruit cocktail Chateau des Charmes Musqué Clone 2009 and the sauvignon blanc like 2009 Stony Ridge Estate Unoaked Chardonnay, there was a huge spectrum of flavors. The aging potential was convincing in the second flight as I really dug the graceful feel of the Flat Rock 2005, the pulpy citrus-filled palate of the 2003 Cave Spring Cellars Reserve and the regal demeanor of the oldest in the flight, the 1998 Strewn Vineyard Chardonnay. The "Class of 2009" flight was superb. Each one had electric acidity and beautiful balance of oak and fruit. Highlights included Henry of Pelham Speck Family Reserve, Niagara College Teaching Winery Dean’s List, and Pondview’s Bella Terra. The "Class of 2008" was softer yet still balanced with generally fuller palates and more evident oak. Consistency was the impression here but my favorites were the Le Clos Jordanne Le Clos Jordanne Vineyard, Lailey Vineyard Old Vines, Tawse Robyn’s Block and Hidden Bench’s Felseck Vineyard. I’m not one to be easily impressed with chardonnay, especially when new oak is involved, yet many of these examples were eye opening and jaw dropping in their gracefulness, complexity and overall deliciousness. There’s no wonder why this industry, which appears to be tight and extremely mature, wants to put these wines in front of as many people as it can. Will people recognize a sense of terroir in Ontario chardonnay? I think they will, whether you perceive it to be in its bright fruit and extremely floral aromas, its generous acidity or in its mineral driven structure. It may not be as evident in the 100% maloactic fermented examples or the new oak-heavy wines but it’s obvious in the lightly oaked and unoaked wines and I don’t just mean in on the Ontario side of the border. I find the same markers in these chards as I do in their Niagara USA counterparts. The winemaking, especially when oak is involved, blurs the line, which in this case is the border, a little but chardonnay does have something special to say here on both sides of the river. May 13-15 will be the next opportunity for writers and bloggers to taste through many of these wines as well as the Niagara USA wines at TasteCamp North. Another will be at the International Cool Climate Chardonnay Celebration in July, which is open to the public. Pinot Noir from Leland's Vineyard being pressed at Arrowhead Spring Vineyards. When I first met Mote three years ago I knew him as the guy from California who bought prime Escarpment property and made a deal with Warm Lake to plant, manage and buy pinot noir grapes from his vineyard. As it turns out, since the last time I’d seen him, he’d torn up his contract with Warm Lake, hired local grower Don Demaison to tend to his vines and solicited a few wineries to sell his 2010 pinot noir crop. My plan that day was to sit down with Duncan and Robin Ross of Arrowhead Spring Vineyards -- the pair is buying Mote’s grapes -- grower Demaison and Mote himself to discuss their roles in salvaging what may be the only productive vineyard left over from the failed venture that was Warm Lake Estate. If there’s anyone that’s willing to go on the record about Warm Lake, it’s Leland Mote. His 14.5 acres of pinot noir vines were basically abandoned during the 2009 growing season and Mote, living in California, says he likely wasn’t getting the full story on the winery’s troubles while his investment went sour. In what was already a challenging year, what was known as Leland’s Vineyard was in a full-on downward spiral. Disease ran rampant due to a lack of spraying and weeds grew taller than the vines. Duncan Ross visited the site and knew something was seriously wrong. A good fit indeed. In addition to farming in the community for decades, with experience with native grapes and, to a lesser extent, vinifera, Don Demaison had worked with Warm Lake’s 45-acre vineyard in the past. He was familiar with the growing strategy Warm Lake employed and he picked up what Cornell suggests for pinot noir along the way. That's not to say that caring for the vines was an easy task; Warm Lake’s vineyards are probably the most challenging in the region to keep healthy. Aside from the slope and high clay content that combine to make getting equipment and labor into the site difficult after even moderate precipitation, the vine spacing and trellis height makes maintaining healthy grapes twice as hard. The 10-foot spacing between rows is a huge disadvantage, since the majority of vineyard sprayers are not designed to get that much coverage. The vines were also planted three feet apart with the fruiting wire at a mere 18 inches off the ground. The low fruiting zone makes an already sticky situation even worse with less airflow and more humidity than you’d have up higher. The idea behind this design was to emulate the vineyards of the Cote d’Or where competition among the vines is high and the low fruiting zone benefits from the warmth of the ground to ripen the grapes. Demaison, for his part, isn’t convinced that this is the right strategy for the Niagara Escarpment, which is warmer and more humid. When Mote contacted Demaison in September of 2009 he went up to see the condition of Leland’s Vineyard for himself. “I took one look and thought, this’ll be interesting, I guess I can’t screw it up anymore than it already is,” jokes Demaison. “The biggest challenge I had was all the disease inoculants from last year,” he adds. Even so, he took on the challenge and immediately made a plan to clean things up by taking off all the rotted disease-prone fruit and taking it far away from the site. Next up was raising the fruiting wire as high as he could. He wanted to go as high as 30 inches but ultimately had to settle for 24 inches as the trellis was only 4 ft high itself. After cutting back the vines and getting most of them up to the 24” wire he was basically working with 2-year-old vines. Mote couldn’t be any happier with the work Demaison has done in such a short time. Ross, who is making wine from Mote’s grapes this year, knew the challenges they faced and is pleased with the quality of grapes he’s received as well. Mote, who has had a rollercoaster ride to get to where he is today with his investment, appreciates the irony that lies in the fact that his goal of selling grapes has actually been made easier with the recent closing of Warm Lake. “Their demise has actually helped my situation immensely. Otherwise I’d be fighting a larger market with 45 acres worth of pinot growing down the road,” Mote says. He, like many investors, was sold on the romance and emotion of being a part of something special in the form of the right grape planted on the right site in a region that has everything it needs to be world class. I asked him if he still thinks that he has the perfect site for pinot noir. The NYCR's Niagara USA contingent -- regional editor Bryan Calandrelli and beer editor Julia Burke -- talk a lot about their home region's pinot noir, and with good reason. I've only had a few, but at least one impressed already. After tasting Freedom Run Winery 2007 Cabernet ($25), I'm much even more excited about cabernet franc's potential in the region. Made with 65% cabernet franc and 35% cabernet sauvignon -- all estate-grown fruit -- was a standout wine in a recent tasting of New York reds. This is a cabernet franc-lover's kind of wine and was the first bottle emptied. The nose is earthy -- like opening a wet bag of topsoil earthy -- with ripe cassis and blackberry fruit aromas, and an intriguing melange of capers, celery seed and fennel in the background. Somewhat juicy and ripe-but-balanced, the medium-bodied palate delivers intense cassis and blackberry flavors with the herbal notes pushed back a bit, all framed and enlivened by ripe tannins good acidity. The finish is long, bringing briny and earthy qualities back to the forefront. This is a wine that was still drinking well on the third day too, hinting at potential for at least short-term cellaring. Is Niagara USA cab franc country? If this is any indication, it sure might be. This wine is another example of why cabernet franc is the red grape that works best across the entire state. Driving past the “Wine Tasting Today” sign on the side of Lower Mountain Road in Cambria, I’m reminded of my first months in the Niagara Region – a feeling that’s compounded when my eyes invariably train toward the “Help Wanted” sign right next to it. It’s the same sign that I read four years ago that led me to my first job in the wine industry. As I follow the arrows pointing up the hill toward Warm Lake Estate’s tasting room, I don’t remember the road being as potholed and bumpy as it somehow feels today. When the winery itself looms into view, what I’d been hearing is seemingly confirmed: Warm Lake Estate has stopped production. It’s not so much the desolate parking lot that leads me to the conclusion that operations have ceased so much as the 35 acres of neglected vineyards. I’m reminded of that dystopian Discovery Channel show “Life After People” as I pull up and snap a few photos of overgrown weeds and decaying clusters left on the vine from the previous growing season. The winery, once open seven days a week, is locked up in the middle of a sunny summer day. A quick phone call to its listed number indicates the line has been disconnected. When my wife and I moved to the Niagara Region from New York City in 2007, these vineyards looked nothing like they do today. The winery’s outlook was fairly positive. Warm Lake was still selling its 2005 vintage for $40 a bottle while still ultimately making a case for pinot noir on the Niagara Escarpment; the 88-point score from Wine Spectator definitely didn’t hurt its fledgling reputation. Back then there weren’t a dozen wineries educating their customers on the microclimate created by the escarpment and Lake Ontario, and the benefits of limestone soils or talking about clay versus sand or gravel. Today, the outlook for Warm Lake doesn't appear as bright. Even after successfully raising enough money to plant the largest continuous planting of pinot noir east of the Rockies, building a winery filled with vats and the best oak barrels you can buy, receiving the highest Wine Spectator score for a pinot noir from New York and after inextricably tying the name “Warm Lake” to the Niagara Escarpment region, it appears as if the rumors of an investor buyout, restructuring and ceasing of production are true. I personally don’t place all that much importance on why or how it happened so soon -- especially because the Niagara Wine Trail itself is booming. I see it like the details of a bad divorce whereby at the end of the day the result is the same no matter who’s fault it was or what series of events led to it. Put simply, I think the winery was before its time, and it tried to be too big, too fast and too soon. How do you market a $40 bottle of wine from an unknown region tens of thousands of times? I’m not sure anyone could have pulled that off in Niagara back in 2007. So when I look at what Mike Von Heckler did with Warm Lake I view his accomplishments in the broader sense: he established an AVA, helped to form the wine trail as it is today, planted an amazing vineyard on prime Escarpment land and placed Niagara wines on the radar of yours truly. Hell, I was sold on the region enough to move here and buy land. Indeed, for better or for worse, Niagara’s fate and Warm Lake’s were intertwined. In my opinion when Warm Lake started having consistency issues with a tough 2006 vintage -- including but not limited to early browning from early pH levels being too high -- retailers and customers that committed to orders and futures orders seemed to start jumping off the bandwagon. Any momentum from previous vintages was lost and the news of dissatisfied customers spread quickly. Since then, anytime I’ve poured or talked about Niagara pinot noir, people’s expectations have been based on the worst vintages of Warm Lake wines. Snarky comments like “at least its red” were a favorite and I came to realize that marketing pinot noir, even under a different brand name here would be an uphill battle. Since I still pour in a tasting room down the road I get questions weekly about the winery. These days, the most common revolves around why there’s a wine tasting sign out if they’re closed. But many are interested in what happened and why. I usually just mention that there were a lot of grapes to take care of and a lot of wine to make without a large trained staff. What’s done is done, though and the region is looking forward, even as the future of Warm Lake remains uncertain. From conversations I’ve had with people close to the situation -– but who also want to remain anonymous –- the winery’s short-term goal is to get the vineyards back in shape and sell grapes as it works toward going back into production under a different name. I see the distribution of their grapes to a variety of winemakers across the state the best possible scenario for improving the image of pinot noir here. Driving back down the hill away from the winery you can almost see and feel the hopes and dreams that were lost when these vines stopped being cared for. I recall my first experiences cleaning barrels and talking about the geology of the escarpment with visitors for the month I spent employed here. I remember thinking that the winery and the region itself is such a cool story that the only thing it needed was people to get the story out and the business side would work itself out. Having a more realistic view of the industry today I know that it’s just not that simple and I realize that no one winery will define this diverse region. But with the possibility of Warm Lake’s grapes being spread out among wineries and in the hands of careful winemakers, it may ultimately help strengthen the case for Niagara pinot noir once again. If Long Island has merlot and the Finger Lakes have riesling, then the Niagara U.S.A. region just might have pinot noir. It's of course way too early in this budding region's development to anoint any single grape as royalty, but Niagara pinot noir certainly shows promise. And just like every other New York wine region, differences in growing season conditions have a profound impact. Vintage matters in New York. It certainly did when I sat down to taste two vintages of estate pinot from Freedom Run Winery in Lockport, NY. Today, we'll focus on the Freedom Run Winery 2007 Estate Pinot Noir ($35). As you no-doubt already know, 2007 was a warm, dry year across the state and that shines through in this pinot. Ripe blueberry and black cherry aromas lead the way on an extroverted nose with light mushroomy earthiness, exotic spice, and subtle cocoa powder notes in the background. Mouth-filling and lush on the palate, a dense core of sweet blueberry-cherry fruit intermingles with notes of earth, exotic spice, milk chocolate and tobacco. The texture is beautiful here, silky with both powerful ripeness and elegance in the form of fine tannins and good acidity. Double-blind I might think this from California if not for that lurking earthiness that really steps forward on the end of a lengthy finish. Though listed at 13.5% ABV, this might be higher as there is a slight bit of heat on the end. Niagara region wineries don’t often get the chance to pour for large audiences and even if they did, most don’t have the volume of wine that they can just pour away as samples. Luckily the annual Finger Lakes Wine Festival is open to any New York State winery that wants to brave the crowds and take advantage of the opportunity to hand sell their wines to thousands of eager drinkers in Watkins Glen, NY. This year there are seven Niagara wineries representing the region. Last year I worked the festival with Schulze Vineyards & Winery and got to see the spectacle unfold from behind the table. Aside from learning how to survive the festival I really got a feel for what people were demanding in terms of varieties. This year I’m going back to help out Freedom Run Winery with their first trip to the event so I thought I should give the New York Cork Report’s readers some info on what to expect if they are seeking out Niagara wines next weekend. If you are looking to taste some sweet wines from the region you have should visit Vizcarra Vineyards, Niagara Landing and Honeymoon Trail. Vizcarra is a one-stop shop for farm produce, baked goods, livestock petting, grape and fruit wines, and now, beer, but you can probably expect just wine from them at the festival as I’m not sure the vendor pass covers goats. Niagara Landing, the oldest winery in the region, makes the whole spectrum of wines from dry to sweet but they are mainly known for the latter, including Rosebud Rosé, which I can only describe as their “Red Cat.” My advice would be to try their baco noir and vidal ice wine. Honeymoon Trail in my opinion is the sweetest winery of the group and has won more medals than anyone for stuff like Diamond and Niagara. Being that the overwhelming demand is for sweets on the first day of the festival, they will probably be swamped with tasters. Spring Lake Winery should be interesting as they supplement their estate riesling and late harvest riesling with California-made wines like cabernet sauvignon and merlot. I can vouch for the rieslings and if you just need some velvety tannins and chocolaty reds then you’ll find that in their non-estate offerings. Leonard Oakes Estate Winery is a must-visit as they are making some of the most dynamic wines in the region from hybrid and vinifera grapes. Their double-gold winning Frontenac will be there as well other solid hybrids like Vignoles, Traminette and their red and white blends. Vinifera lovers should try their cabernet and riesling as they are always elegant and their vidal ice wine I consider one of the best in the state. Schulze Vineyard & Winery’s lineup of wines is probably the most suited to the festival’s tasting environment. Who needs Red Cat when they make a sweet red blend called Ruby? This stuff seriously spread through the crowds like a pandemic last year. Their Crackling line of tank-carbonated wines like Niagara and Mon Cheri stand out as unique even in the sea of sweets they are among at this event. Anyone who wants perfectly balanced off dry wines should try their vidal, cab franc rosé and cab franc nouveau. Once again like Niagara Landing and Leonard Oakes, they make an excellent vidal ice wine, so drink up. Finally if you want to come by and discuss me being a cheerleader of Niagara wines, you can do it in person at the Freedom Run Winery table. I will be pouring a few sweets but mainly dry reds from their estate vineyards. I warned the owners that dry reds aren’t exactly the most popular wines at the festival but the opportunity to get more people to realize that they can be done well in Niagara is reason enough to bring them. As far as must-trys, the 2008 Estate Pinot Noir (New York Cork Report’s Niagara red wine of the year) is one. I also think that the 2008 Estate Cabernet Franc and Cab-Merlot are worthy of the most finicky palates. So if you’re heading to the festival, check a few of these places out. I realize Niagara County may not be on your destination list this summer so take advantage of the fact that we are coming to the Finger Lakes. And seriously stop by and see me if you can. I’ll be the one not wearing a toga, not drinking wine out of glass that blinks purple and green and not singing the Red Cat song. Jim and Kathy Baker standing outside the huge doors of Chateau Niagara, their new winery. The story of Chateau Niagara begins like many in this romantic little region. Boy meets girl. Boy marries girl. Couple starts family, discovers local wine. Boy gets girl tipsy, sells her on starting winery. In this particular chapter however, owners Jim and Kathy Baker’s story takes an interesting twist -- girl goes on to become tasting room manager at a local winery as Jim stays the course of his career so both can one day open up their own winery and vineyard. It’s a story that only seems to be possible in young regions like Niagara, where vineyard-suitable land is still affordable and people with a desire to get involved and learn the trade can easily get their feet wet. Kathy’s experience along with Jim’s passion and idealism has never been more evident as last month Chateau Niagara quietly opened it doors to the public. “We wanted to ease into it and open on a normal weekend before the next Niagara Wine Trail event,” says Kathy. Overnight she’s gone from overseeing a full staff of experienced tasting room employees in the largest tasting room on the trail to pouring wines with her husband and daughters behind her own tasting bar. “It’s a whole lot more rewarding knowing that people like the wines,” she says. While Jim may not have the same tasting room experience, he brings an unmatched passion for wine and viticulture into the mix. Want to discuss obscure Eastern European grapes? Jim’s your man. Want to geek out on soil classifications? He’ll talk dirt with you all day – especially when it comes to what’s beneath his feet at Chateau Niagara. “This is what is referred to locally as cherry ground,” he says, referring to how cherry trees are fussy when it comes to needing light sandy or gravelly well-drained soils. The couple’s shared vision has put them in a position to make about 2,000 cases annually. Right now all the employees are family members and the desire to stay small – and focused on making the experience of each guest as positive as they can – is first and foremost. “I’d be rolling over in my grave if this ever turned into a wine factory,” says Jim. With only a month selling wine behind them, they’ve already learned a few lessons. “We don’t have enough Gewurztraminer in the ground,” says Jim. With just two white wines available in the tasting room today besides Gewurztraminer – chardonnay and riesling – the demand for the spicy white grape has been overwhelming. “It’s sales are more than double the other two combined,” he says. Chateau Niagara’s first vintage is a blend of estate grapes supplemented with Finger Lakes fruit. The 2008 Chardonnay is lightly oaked, as in a whisper of oak, and shows aromas of stone fruit and melon. It fills out the palate with a creamy texture but stays austere on the finish. The 2008 Riesling is predominantly floral on the nose with some apricot notes and a long dry finish. Their hottest selling wine, the Gewurtztraminer, is intensely floral with lychee and grapefruit aromas. It finishes dry with notes of anise and without any oily or soapy qualities that I generally dislike about this variety. Chateau Niagara’s opening also points to a boom in the expansion of the wine trail north to the lakeshore, where history has proven that the moderation of Lake Ontario consistently provides a growing season that grape growers can depend on. The Bakers, for their part, in many ways symbolize the promise and ingenuity of a region that is looking towards the future while redefining itself in the present. Southbrook's LEED certified winery and biodynamic vineyards in Niagara on the Lake, ON. If you read this column with any regularity, what I’m about to write will be nothing new. But it’s certainly worth repeating: In only ten short years the Niagara Wine Region USA has come a long way. With thirteen wineries open and several more in the works, the region’s future as a wine destination seems more and more likely. The potential for quality reds, whites, roses and dessert wines has never been more apparent. But as much as good as I think the current vintages are, to get a sense of the long-term potential of the region, you have to make the short trip across the border into the Niagara Peninsula. With more than twenty years of growing and making vinifera wines in the history books, the Ontario wine industry offers a glimpse into what New York’s Niagara wine industry might look like -- and more importantly, taste like -- in the future. So in the name of research, last week I grabbed my passport and set out to hit a few wineries I’d never visited. First stop was Southbrook Vineyards, Canada’s first biodynamic certified estate. I couldn’t help being impressed by their LEED platinum-certified winery and tasting room pavilion. There’s obviously been a huge investment in their 60-acre farm, which is dotted with wind turbines to combat frosts and winter kill. Overall, I found their wines to be elegant and restrained. The Sauvignon Blanc 2007 ($18) was yet another fine example of the potential of the grape in both regions, and their Poetica Chardonnay 2007 ($50) made another case for why Niagara chardonnay should be taken seriously. But the one wine that I just had to bring home was their 2007 Whimsy Cabernet Franc ($35). In a vintage where many winemakers tried to make a big red with significant oak influence, this wine didn’t strive for that. With fresh blackberry, cherry and pepper aromas, this one retains everything I like about cab franc without sacrificing its lively acidity in such a warm vintage. I would have normally avoided Jackson Triggs Winery but that day I stopped because I heard they now pour Le Clos Jordanne wines since they are both owned by the same company. If you haven’t heard of it, the winery is a joint venture between Vincor and Boisset, with a focus on making terrior-driven chardonnay and pinot noir on the Niagara Peninsula. They do not have their own tasting room and the wines aren’t readily available on this side of the border. Of the estate vineyard sites Le Clos Jordanne uses, the best grapes go into their Le Grande Clos wine, the stuff that doesn’t make it into that goes into the single vineyard wines, and the rest that doesn’t cut it goes into its Village labeled wines. Each batch is vinified the same way using wild yeasts and long ferments. I’d heard great things about these wines but hadn’t tasted them until this trip. My focus was on tasting their pinot noir and they were pouring their 2006 lineup. Knowing it wasn’t an ideal season for thin-skined grapes, I was impressed by each pinot I tried. The 2006 Village ($25) was perfectly racy and delicate with bright cherry fruit. The Claystone Terrace Vineyard ($40) wine was similar, yet had firmer tannins with a chalky finish. Le Grand Clos ($80) was what it should be, the best of the lineup, with a fuller mouthfeel darker fruit profile and a lasting finish. My last stop was Lailey Vineyards just off the Niagara River. With a somewhat modest tasting room for Niagara-on-the-Lake, Lailey served up some bold wines including syrah, pinot noir and some crisp whites. Their unoaked Chardonnay 2008 was just what I was looking for in a white with melon and peach aromas combining with a crisp yet still smooth body. The 2008 Sauvignon Blanc was solid as were both 2008 Pinot Noirs poured. The lineup was consistent from top to bottom but my favorite by far was the 2008 Syrah. From what I’ve read it seems that the Niagara River appellation receives the most heat units due to its proximity to the gorge and river. As the cooler air sinks down into the lower elevation at water level, warm air rises and provides beneficial circulation. It’s here where syrah is given the best chance to ripen to show its dark fruit profile and a meatiness that is in line with northern Rhone. The 2008 I tasted was just that style with dark blackberry fruit, black pepper and aromas consistent with good salami. The contrast in size, investment and history of the two regions couldn’t be any more obvious but every time I get over to Ontario I’m impressed by the similarities in flavor profile and quality, especially the pinot noir, chardonnay and cabernet franc. The potential for grapes like syrah and sauvignon blanc is also convincing. We can learn a lot from Ontario’s wine industry. The overall consistency of quality from each winery to the next is staggering but ultimately I’m finding our best wines can hang with their best wines and that’s no coincidence.